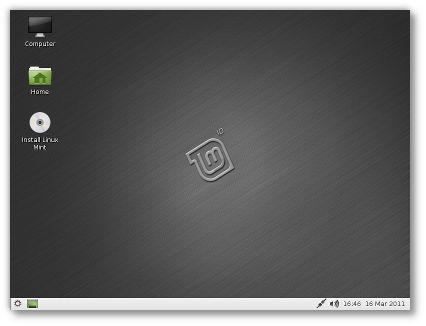 The team is proud to announce the release of Linux Mint 10 LXDE RC. For a complete overview and to see screenshots of the new features, visit: “What’s new in Linux Mint 10 LXDE“. 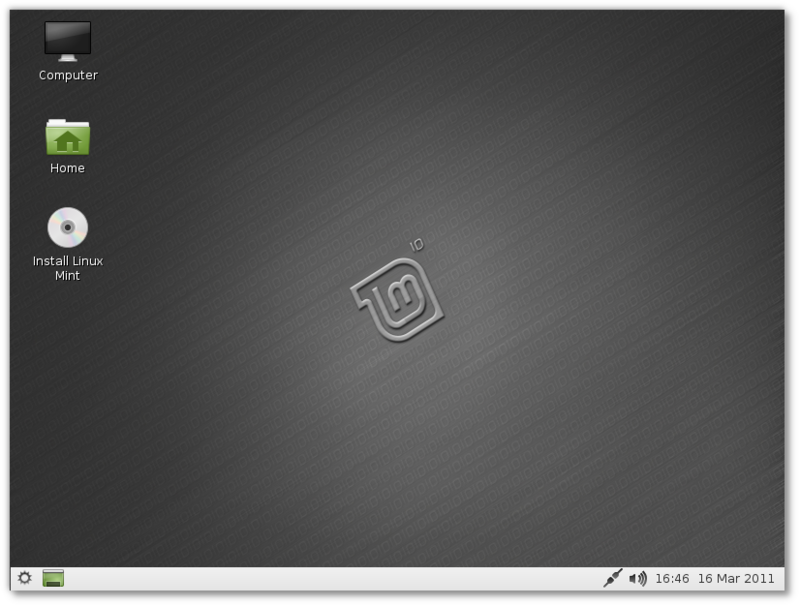 Previous Previous post: Linux Mint 10 KDE RC released! Can’t wait to try this! Thanks!! More Power!!! Been waiting for this! Downloading now! Thanks guys! May I update directly from software manager as made in Ubuntu? Or need to install over the version I actually have ? there is no mistake in the amount of RAM? I mean 512 MB of RAM it´s the same amount of ram for the KDE edition but this is LXDE edition. Maybe this can be a mistake. Working great on my netbook ! You should be able to get it to run on many systems with less than 512MB RAM. Is it really going to take 512MB of RAM this go around, or is that a typo? It seems like it used to only be 256MB. Other than that, I getting ready to install it in VM to take it for a spin. .none of the articles of the LXDE release show the Mint menu. .none of the articles of the Main Gnome version show the requirements to compare them. Hope this is fixed soon, greets! I really enjoy LM10 LXDE. One thing I don’t understand is why LM10 LXDE with only Conky running is using 107MB of RAM while LMDE with LXDE added on is only using 87MB. Any explainations? Regardless, I will continue to use LM10 LXDE. I think this version should be the main version that is worked on full time. .it’s kind of hard to find and they should be in the Manual at the very least and in the release notes too, not just in the announcement that becomes old news afterwards. .I’d consolidate the info about each release in no more than two areas/subpages like a solid “What’s New” and an in-depth “Release Notes” sections for each distro/version because currently it induces to “link hopping” as they contain similar information. All that should be easily accessible from the homepage dropdown menus for each distro. .AND in Downloads/All Version it shows all old versions of Julia versions but no KDE or LXDE or other >_> which are impossible to find unless you use the homepage carousel looking for announcements, which is kinda very improper. Should all be there or in their own subsections easily available under the Downloads dropdown menu of the homepage. .Just a final notion, users shouldn’t have to enter the blog for any downloads or release information but only for news and articles. shyte, sorry i bitched about the All versions. had to make one more click. must be very sleepy. btw, clicking the Download Mirrors in the Release Notes for LXDE 10 http://linuxmint.com/rel_julia_lxde.php takes you to downloading Julia Gnome. Quickly tested it on VM and the live system ate up around 110mb of RAM on its own, so I believe the minimum memory requirement should be around 256mb. The most basic explanation would be that you are comparing Ubuntu vs Debian (which we all know its way lighter than Ubuntu). You may install plain Debian with only LXDE on top and it will be way lighter than LMDE with LXDE added (cause the last one is Debian + Gnome + all the minty stuff + LXDE). ich benutze mint schon längere zeit und habe auch schon andere zum wechsel von windows auf linux überredet. wolen, was in den foren usw. deschrieben steht. With more tweaking I was able to get LM10 LXDE down to 104MB at startup. LMDE with LXDE added on was down to 62MB at startup. Both versions started up with Conky running. I know guys like Kendall can probably make LM10 LXDE startup using less ram. Nice distro btw. Just a quick note about LMDE. Debian is faster and uses less resources than Ubuntu. If you compare the same desktop on both bases, the LMDE version is likely to use less RAM and to be more snappy. We’re planning to move some of the lightweight editions towards LMDE in the future, starting with Fluxbox. I freakin love you guys <3 LXDE ftw, its so fast! It looks and works great on my Inspiron 1525 loptop thanks for the good work. Still prefer LMDE though. My video and wireless works great no tweaking needed. On the KDE 10 RC or the LXDE 10 RC and the LMDE 32 and 64 bit hats. Thanks Again For The Great Work. It looks and works great on my Inspiron 1525 loptop thanks for the good work. Still prefer LMDE though. My video and wireless works great no tweaking needed. On the KDE 10 RC or the LXDE 10 RC and the LMDE 32 and 64 bit. Thanks Again For The Great Work. The “mintmenu.png” button is horrible, very ugly, printscreen low resolution? LXDE is an underrated desktop manager. It is even better than Gnome (simplier and faster). A x64 version would be great. Köszönet, kitűnő ez a verzió windows mellé raktam fel hiba eddig nem merültfel.Szép volt fiúk, férfi munka volt! Why can’t I open jar-files? “Right-click, execute as program” did not solve this issue. Also “open with” does not yield the option to open with java. What now? Again breaking comfort? Another great release. Works perfectly. as a beginner in linux, which free manuals are availbale for me to us? with regards to system admi, recommend books for me. Would like to see Mint Menu work with LXDE. LMDE + LXDE + Mint Menu would be my ideal. Good work so far lads! Keep it coming. LXDE 10 RC runs fast and without problems on my ASUS EEEPC. I did try LMDE on the same netbook and had problems. Ran very slowly and wifi was a disaster. Had to uninstall. Agree with calls for caution in shifting lightweight editions to a Debian base until hardware related issues are resolved. can anybody tell how to make autologin in lxde? Great job to all the Linuxmint team! In the live mode it appears to be a great little distro. Got it up and running on an older Panasonic Toughbook CF-29, Pentium 1.4, w/1.5 gigs of ram. Chugs right along. I plan to test it further and when the final is out see how it lives along side Windoz XP. does lubuntu lxpanel-indicator work with mint lxde 10 ? To enable autologin go to /etc/lxdm and edit default.conf. Add autologin=username to [base] section. In my install it’s already there, but it’s commented out (#). I can not get the install to work unless I use ext4. I would like to use ext2 since I run from SDHC-card. I believe this is a bug in the installer, and I hope it gets fixed. Congratulations to the Linux Mint team. I am very happy because this version works very well!,is stable and very comfortable. I recommend it for anyone who wants a simple desktop, light and without any problems:). ps: my pc is a AMD Sempron 1.6GHz with 512 MB of RAM. he instalado linux mint en maquinas con 256 mb y funcionana excelentemente bien. Por supuesto que he eliminado windows y esta en prueba un linux mint LXDE en una escuela secundaria. This system needs less memory, cpu and runs fine on old computers, I got it. But, is there a reason for using LXDE on a “high-end” PC? hi the software is of great use .though i been having problems with it ,it keeps on shutting down am forced to format everything and re-enter the system again this has happened thrice.i would love you to assist as am losing much of my data in my computer which is really inconvient for me . application is same between the version gnome and LXDE ????? Will this run on a netbook? @mikhtar_one: The default app selection is a bit different. Smaller and lighter applications were used when deemed appropriate. @Snow.Metal: Yes it should run swimmingly on a netbook. Will I really be tempted by Linux Mint to give up Ubuntu. I hope so – I just don’t like the way it has gone (Unity). I hope Mint doesn’t go the way of Ubuntu; or at least not till Unity is much, much better. LXDE distro’s are by far the best for netbooks. At least for the early celeron ASUS EEE’s. Mint LXDE is looking promising, but at this time I have to vote for LUBUNTU for netbooks. I am sure Mint will catch up in near future. If you want a really light distro for netbooks, try PUPPEEE. It runs perfectly from a 512 MB SD Card on my EEE 900. On newer/better hardware other Mint distro’s are simply the best you can get.